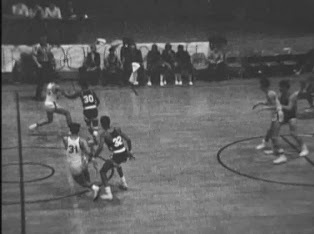 The Muncie Central High School Athletics Films digital collection includes films donated by the Muncie Central High School Alumni Association documenting portions of Muncie Central Bearcats basketball and football seasons from approximately 1950-1974. Other Muncie and Delaware County teams featured in the collection include the Burris Owls, Muncie Northside Titans, Muncie Southside Rebels, Royerton Redbirds, and Muncie and Delaware County junior high school teams. A limited number of additional films documenting historic Muncie buildings, Ball Brothers factory operations, and other community events are also included. The Ball State University Libraries are pleased to introduce a new and improved Digital Media Repository (DMR), featuring a redesigned interface and incorporating the latest updates to CONTENTdm, the repository’s content management system. The newly designed DMR provides a more dynamic and interactive user experience, highlighting the value of the repository’s diverse digital collections and enhancing the discovery, visibility, searching of digital resources that support learning, teaching, and research. New features include an enhanced image viewer that provides for easy zooming and panning, allowing users to enjoy a greater level of interactivity with DMR’s varied and diverse visual materials, including photographs, maps, and architectural drawings. The newly designed repository incorporates user comments and tagging to provide digital users with a more social experience. 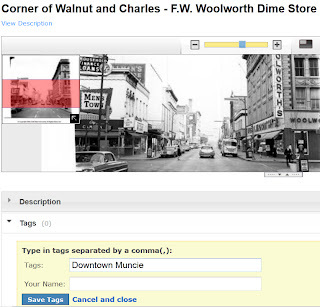 New image downloading options give users increased access to archival material and educational content. Enhanced Search Engine Optimization improves the discoverability of DMR assets in web search engines, expanding the global reach of Ball State University’s unique digital content. These new enhancements make the DMR a dynamic and interactive learning and research tool for Ball State students and faculty, and for users worldwide. 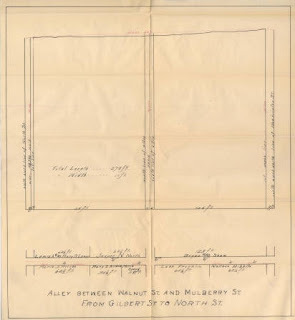 The Muncie City Improvement Resolutions digital collection includes city ordinances, resolutions, and other records from the City Clerk's office in Muncie, Indiana ranging from 1891-1922 regarding street, alley, sidewalk, and sewer improvements in the city and surrounding areas. 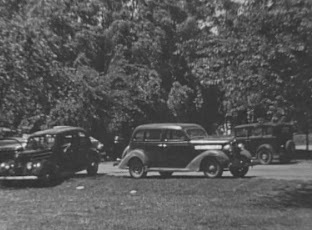 The collection will be of interest to researchers examining the history of a wide variety of local government and city planning topics including the development of Muncie's infrastructure in specific locations, community support for and opposition against proposed infrastructure changes, and trends in city infrastructure development at the turn of the Twentieth Century. Maps documenting the names of property owners and the location of their property impacted by infrastructure development will be of particular interest to researchers trying to identify property ownership in specific areas of Muncie. Alley between Walnut St. and Mulberry St, from Gilbert St. to North St.
1. Enter a keyword search. 2. Select a search result that matches your research need. 3. Scroll down the page to the metadata fields in red font. 4. Click on the linked metadata to the right of the "Folder Name" or "Resolution Number" field. This online collection includes digital copies of the entirety of the Muncie City Improvement Resolutions collection in Archives and Special Collections. ﻿John Nelson Bell was born in Morgantown, Virginia on April 21, 1858 to Henry and Louise (Swisher) Bell. He began teaching school at age sixteen and supplemented his education by taking classes at a normal school. He entered Starling Medical College in Columbus, Ohio in 1884 and left for the Medical College of Ohio two years later. As he neared the end of his studies, Bell learned that Samuel Jump, the practicing physician in Perry Township, Delaware County, Indiana, had received a presidential appointment as the Selma postmaster and would be moving to Liberty Township. After graduating from the Medical College of Ohio in the spring of 1888, Dr. Bell came to Delaware County to fill that vacancy in Perry Township and began his practice in New Burlington. He would continue to practice medicine in the Delaware County community of New Burlington for forty years. 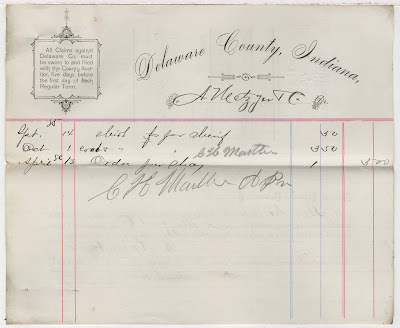 The account books in this digital collection document John Nelson Bell's financial dealings including payment methods of patients and the cost of medical supplies. His daybooks document the schedule of a small town doctor as well as more detailed information such as patient names, general reasons for visits, and charges for services. His medical school and treatment notes document the training of medical doctors and common medical treatments at the turn of the century for a wide variety of maladies including burns, colic, hay fever, laryngitis, tetanus, and typhoid fever. This online collection includes digital copies of the entirety of the John Nelson Bell papers in Archives and Special Collections. 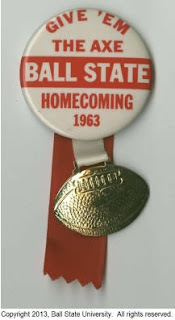 The Ball State University Student Life Collection contains an assortment of digitized textual records and artifacts broadly documenting the diverse range of student experiences at Ball State University with materials dating from the institution's founding in 1918 to the 1990s. Materials available here were selected for digitization from a variety of individual archival collections at the Ball State University Archives & Special Collections. This digital collection includes editions of the Ball State Teachers College/University student handbook, also known as the Cardinal Code, a selection of scrapbooks created by Ball State students documenting campus life, newsletters published by a variety of student organizations, Ball State homecoming buttons, pamphlets, brochures, and leaflets containing information for students, and material documenting this history of the L.A. Pittenger Student Center. 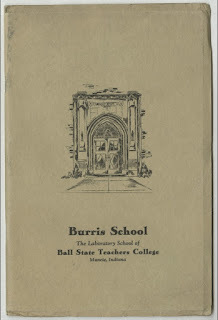 Other digital collections that contain materials documenting student life include The Orient yearbooks, the Ball State University Student Newspaper collection, the Ball State University Campus Photographs collection, and the Ball State University Historic Films and Videos collection.